Q: What if I already have an attorney but I would like to switch to you? and we will take it from there. A: Any paperwork pertaining to your legal matter. our attorneys before we can set a fee. 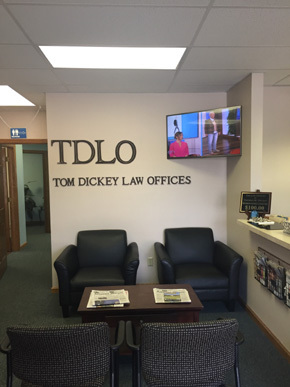 Tom Dickey Law Offices, P.C. Content on this site is for informational purposes only and should not be construed as legal advice. Contact us today to make an appointment to discuss your legal issues.